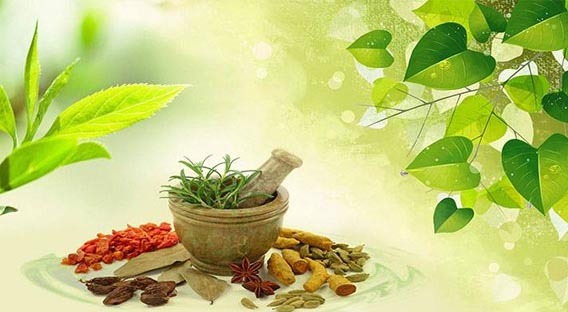 Ayurveda is the system of traditional medicine in India. It is based on many centuries of experience in medical practice, handed down through generations. Composed of two Sanskrit words, "Ayu" or life, and "Veda" or knowledge, Ayurveda is regarded as "The Science of Life" and the practice involves the care of physical, mental and spiritual health of human beings. Ayurveda is the system of traditional medicine in India. It is based on many centuries of experience in medical practice, handed down through generations. Composed of two Sanskrit words, "Ayu" or life, and "Veda" or knowledge, Ayurveda is regarded as "The Science of Life" and the practice involves the care of physical, mental and spiritual health of human beings. Ayurveda is also based on sound ecological awareness of the place of animals, birds and plants in relation to human life. The time honored, well tested ancient formulas of Ayurvedic medicines use natural herbs, minerals and even gems, to cure disease and to promote immunity and there are no deadly experiments on animals in the lab.